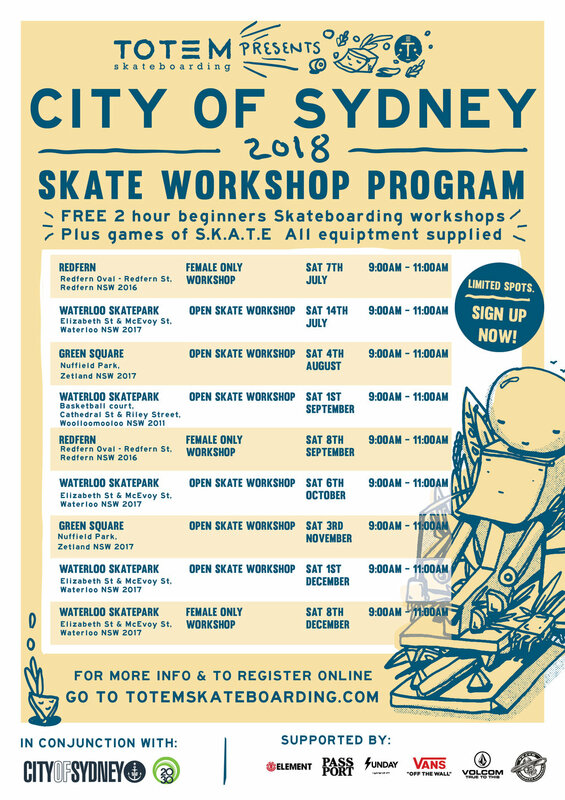 We're super stoked to announce our team up with the City of Sydney to conduct FREE ongoing Skate days over the next YEAR!. We will be heading to the newly completed Waterloo Skatepark, Redfern Oval, Ultimo Community Centre and Nuffield Park in Green Square so come and get involved. Beginners from 11-12 and giveaways and games from 12-1pm.